Batting: Kumar Sangakkara 63 off 44 balls, Shoaib Malik 48 runs off 28 balls. Bowling: Mustafizur Rahman 2/22 in 4 overs, Yasir Shah 1/27 in 4 overs. Target: 180 runs from 20 overs. Batting: Fakhar Zaman 49 off 30 balls, Umar Akmal 31 off 25 balls. Bowling:Mohammad Irfan 2/19 in 4 overs, Junaid Khan 3/24 in 3 overs. Result: Sultans won by 43 runs.
. Fakhar Zaman kept Lahore in the hunt with a tremendous innings, scoring 49 runs off 30 balls, but an outstanding catch by Ahmed Shehzad turned the game. 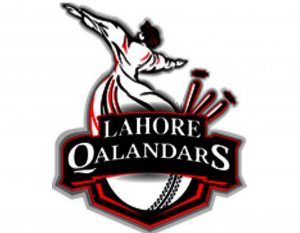 That triggered a monumental collapse, with Junaid Khan taking a hat-trick as Lahore lost their last seven wickets for just four runs to fold timidly for 136. 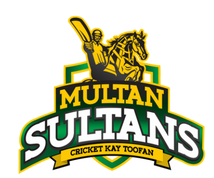 Multan, who had been put in to bat, got off to a rapid start, in part due to Lahore’s disordered start: six wides and four byes were conceded in the first five overs. Kumar Sangakkara was in the same glittering form that carried his side to victory on Thursday, mixing classical Test shots with modern T20 hitting. If ever there was a catch to win a match, Ahmed Shehzad’s diving effort to get rid of Zaman was it. Zaman was in the mood and may well have taken the game away from the Sultans. But when he charged out of his crease to hit Kieron Pollard through cover, his luck ran out. Shehzad rushed in at full speed from sweeper cover, lunged forward and plucked the ball inches from the ground. The relief is his celebration was profound. Multan move to the top of the table with two wins from two games, while Lahore Qalandars sit at the bottom on net run-rate after a hefty loss.